Are you struggling to get rid of stubborn blackheads which give an unappealing look to your skin? Stubborn blackheads can not only look unsightly but can also lead to many other skin conditions as they block the pores. Removing blackheads can be a little time-consuming as they need special skincare products which are designed to clean the pores and remove blackheads. People who take care of their skin regularly tend to have lesser blackheads as the pores are continuously cleaned to remove excess oil and dirt which can clog the pores. We have compiled a list of ten effective blackhead removal products which not only make your skin look soft and smooth but also keep blackheads from coming back. Specially formulated for blackhead-prone oily skin, this mud mask from Aria Starr comes in a jar packaging and contains shea butter, jojoba oil, and aloe vera also. The mask is black in color and is easy to use as it glides on the skin well. The mask is designed to detoxify the skin and remove impurities so that the pores remain clean and unclogged. It also refines the texture of the skin and controls excess oil. The formula contains natural minerals which cleanse the skin and maintain its pH balance. It is suitable for all skin types and works well for sensitive skin also. The price of the mask is quite affordable and the quantity is good as one jar lasts for 4-5 months easily if used once a week. It is advisable to test the formula on a patch of the skin before using it on the face. Uses natural mud which is rich in minerals to detoxify the pores and nourish the skin. Aloe vera hydrates the skin without making it feel greasy or oily. The jar packaging is easy to use and the quantity is good for the price. It is suitable for all skin types and removes blackheads easily. The minerals can irritate sensitive skin if more quantity is used than required. The mask can be a little messy to use and wash off. This mud mask can be very helpful in removing blackheads and whiteheads as it extracts the impurities out of the pores and keeps them clean to avoid any blackheads in future. One of the most popular blackhead removers available in the market, this gel from Concept Skin dissolves the blackheads and leaves the skin feeling soft and clean. It also cleans the pores thoroughly and controls excess oil. The formula contains lactic acid and salicylic acid which work well for acne-prone and blackhead-prone skin. It Oats protein, aloe vera, and chamomile are some of the other main ingredients of this gel. It does not contain any harmful chemicals which might harm the skin. The packaging is compact and travel-friendly and the pump makes it easy to take the product out of the bottle. The price of the gel is moderate as compared to other blackhead removal products available in the market. Dissolves blackheads and cleans the pores well to keep the skin soft and smooth. The gel consistency suits oily skin and has a cooling sensation on the skin. The pump packaging is easy to use and is quite handy for traveling purposes. Contains natural ingredients like lactic acid and salicylic acid which treat blackheads and whiteheads naturally without any chemicals. The quantity is not very good for the price as one bottle lasts for around 1-2 months if used regularly. The consistency of the product is a bit sticky according to some users. This blackhead removal gel is good for people with an oily and acne-prone skin as it does not make the skin feel greasy and removes blackheads by dissolving them naturally. With two sizes to choose from, this skin exfoliant from Paulas Choice is expensive as compared to other blackhead removal products but is quite effective on stubborn blackheads. It contains 2% Beta-Hydroxy acid (BHA) which works on blackheads and early signs of aging to give you a healthy skin. It also works well on enlarged pores and fine lines also. The formula is very gentle and can be used by all skin types. It is free of artificial chemicals and fragrances which can irritate the skin. Users are advised to use this toner twice a day in the morning and evening to get an even and radiant skin without any blackheads. Another good thing about this product is that you can buy a trial size before purchasing the full-sized product. The price is high but you can get it at a discount online. It contains 2% BHA which refines the skin and cleans the pores easily without being harsh on the skin. The consistency of the toner is very thin so it gets absorbed into the skin easily. The formula is free of harmful chemicals which can harm the skin in the long run. It is available in a trial size as well so you can try the product before investing in the bigger size. The price of the product is very high as compared to the quantity. It leaves the skin a little oily so it is not recommended for very oily skin. This exfoliating toner from Paulas Choice is great for people who have enlarged pores with blackheads. It is very good for normal to dry skin and provides multiple benefits if you use it regularly. Made with activated charcoal, this mud peel-off mask extracts all the blackheads from the pores instantly and removes most of the blackheads in one use. It comes in a portable tube packaging which is quite handy. The formula also contains witch hazel and vitamin C which shrink the pores and reduce dullness. It takes only 5-10 minutes to dry completely after which you can peel it off the skin easily. The mask leaves the skin feeling clean and smooth. It is not very painful unlike some other peel-off masks which cause a lot of pain while removing them. The product is not very suitable for sensitive skin as it can cause redness. The quantity of the mask is good and the price is also affordable if you compare it with other blackhead removal products. Uses activated charcoal and witch hazel to clean the pores and remove blackheads in just a few uses. It comes in a compact tube packaging and is quite handy. The formula dries quickly and does not cause a lot of pain while peeling it from the skin. The price is affordable for the quantity. The formula is a bit harsh for sensitive skin as it can cause dryness and rashes. It has a strong fragrance which can irritate the skin. This activated charcoal peel-off mask is a great product if you need instant results before any special occasion. It extracts all the blackheads and tightens the pores to make the skin look soft and smooth just after the first use. If you are looking for nose strips which can be used on the go for removing blackheads, this pack from Biore includes 7 nose strips and 7 face strips to remove blackheads from the skin easily. It is available in two variants and is quite handy to use. The strips stick on the skin and act like a magnet for the clogged dirt and oil. They clean the pores effectively in just one use and take just 10 minutes to give you the desired results. The strips are suitable for all skin types and can even be used by sensitive skin. The face strips can be used on any area of the face which has clogged pores. They work better if you clean your face before and apply the strip on wet skin as it sticks better. The strips can also be cut into different shapes to use on different contours of your face. The price is moderate as compared to the quantity. These cleansing strips remove blackheads instantly and can be used anywhere. The pack contains strips for both nose and face so you can remove blackheads from any part of the face easily. They do not irritate the skin or cause dryness if used properly. Can be cut to fit different parts of the face. The strips do not stick to the skin properly according to some users. The glue used on the strips can cause allergies for some people. These blackheads removing strips from Biore work well in situations where you cannot use a mask. They are quite effective if you follow the usage instructions properly. Formulated with collagen, bamboo extracts, and glycerin, this peel-off mask removes all blackheads easily in just one use. It has a thick consistency so you need to spread the mask on the skin carefully. The formula dries in just a few minutes but it does cause a bit of pain during removal. It leaves the skin feeling soft and smooth and can cause some redness which subsides after a while. You can rub an ice cube on the skin to reduce redness and irritation. The quantity of the mask is good as one tube lasts for around 4-5 months if used once every two weeks. It is not advisable to use this mask very often as it can dry the skin and cause itching and irritation. The price of the mask is affordable. Bamboo extracts and glycerin help to keep the skin clean and hydrated as they extract dirt and impurities from the pores. The natural formula is suitable for all skin types but people with sensitive skin should do a patch test before use. The price is quite affordable as compared to the quantity. It removes blackheads in just one use and gives instant results. The mask causes a bit of pain while removing it as it sticks to the skin. It can cause irritation and dryness if you use it more often than required. If you want instant results when it comes to blackhead removal, this face mask is a great option as it gives you the desired results in just a few minutes. It also smoothens the skin and leaves it feeling smoother and brighter. An enzyme-based peel-off mask from Mediderm, this product is known for its gentle formula and effective results. It works really well for pigmented skin and removes blackheads gradually without harming the skin. The formula relaxes and rejuvenates the skin and is suitable for all skin types. The mask is white in color and needs to be used twice a week for effective results. The consistency of the mask is a bit sticky and thick so it has to be rinsed off carefully. Regular use helps to lighten the pigmentation and makes the skin look even. It can be used both as a peel and a face mask depending on the type of results you are looking for. The price of the mask is a bit high as compared to its quantity and the packaging is bulky. The enzyme-based formula nourishes the skin and reduces pigmentation with regular use. The mask is very gentle on the skin and does not cause any dryness or irritation. It can be used as a mask as well as a peel to get the desired results. The formula is suitable for all skin types and removes blackheads gradually with regular use. It can take some time to show the results and remove blackheads. The formula is a bit thick so it can be a little difficult to wash the mask off the skin. The enzyme-based formula works well for all skin types and removes blackheads naturally without harming the skin or enlarging the pores. It might take some time to show visible results but the results are long-lasting and safe as compared to other products. 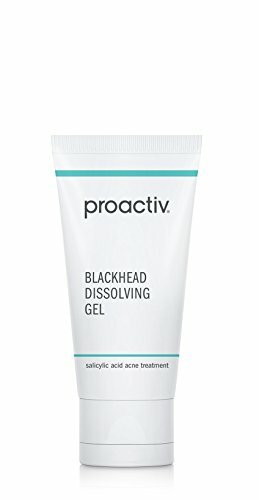 One of the most expensive blackhead removal products available in the market, this gel from Proactiv+ is designed to dissolve blackheads without irritating the skin in any way. It contains aloe vera gel, shea butter, salicylic acid, and green tea extracts which soothe the dull and tired skin while working on the blackheads. The formula is non-comedogenic which means that it does not clog the pores and it is also dermatologically tested. Regular use helps to soften the pores and refine the texture of the skin. The consistency of the gel is fairly lightweight and it glides on the skin easily. The packaging is quite easy to use and travel with. The gel is more effective when it is used with other products from the same range. The price is very high. Lightweight gel consistency which suits all skin types and does not irritate the skin. The gel dissolves blackheads gradually and prevents them from occurring again by shrinking the pores. It has a non-comedogenic and dermatologically tested formula. Aloe vera gel and shea butter soothe the skin and keep dryness under control. The price of this gel is very high as compared to other similar products. It works better if used with other products from the range so you need to buy multiple products to get visible results. This gel from Proactive+ is good for smaller blackheads which do not need a strong formula. The ingredients used in the formula are very beneficial for the skin and offer multiple other benefits than just removal of blackheads. Packed with matcha green tea extracts, this mud mask is full of antioxidants which nourish the skin and protect it from environmental pollutants. It has anti-bacterial properties which reduce acne breakouts and clean the pores to remove blackheads. The formula tightens the skin when used regularly and reduces the pore size to prevent blackheads from occurring again. The mask is green in color and uses volcanic mud, shea butter, green tea extracts, and vitamin C to clean the skin and maintain its texture. The consistency of the mask is neither very thick nor very thin and it spreads on the skin smoothly. The mask is suitable for all skin types except very sensitive skin as the formula is a bit strong. It has a mild fragrance of green tea and volcanic mud. The price of the mask is moderate. Contains matcha green tea extracts, volcanic mud, and shea butter to detoxify the skin and hydrate it. It cleans the pores effectively and prevents blackheads from occurring again. The consistency of the mask makes it easy to use and it does not leave any residue after being rinsed off. The mild fragrance soothes the skin and refreshes it. It can dry the skin a little if you have very dry skin as volcanic mud absorbs all the moisture from the skin. The jar packaging is a little bulky for traveling purposes. 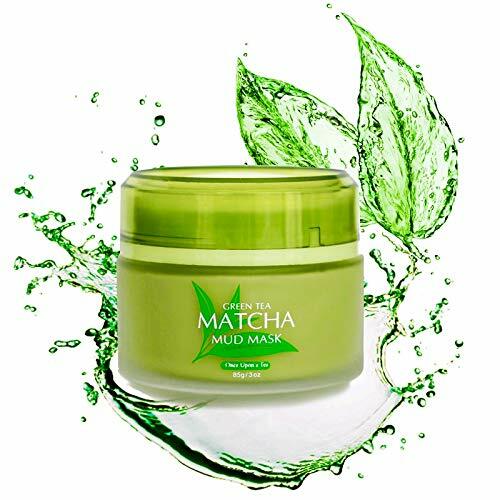 Matcha green tea extracts are known for their skin purifying properties so this face mask cleans the pores and absorbs all the dirt and excess oil while removing the existing blackheads. 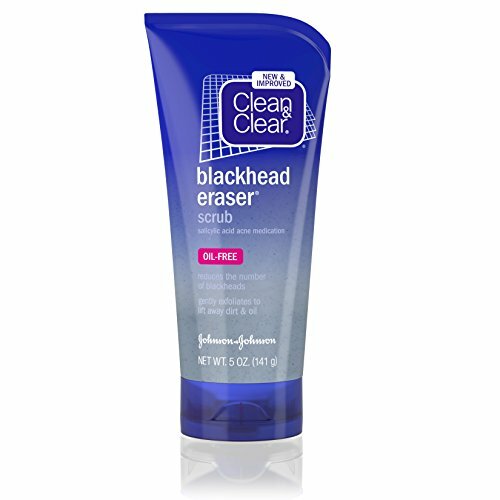 If you are looking for an affordable blackhead removing scrub, this product from Clean & Clear is a favorite of many for its effective action against stubborn blackheads. It contains salicylic acid which is known to control acne and remove blackheads. The scrub exfoliates the skin gently and is completely oil-free so it does not make the skin feel greasy. It is suitable for all skin types and regular use can help you get rid of all types of blackheads and whiteheads. The compact tube packaging with a flip-open cap makes it a handy product while traveling. The scrub contains natural microbeads which remove dead skin cells and help you get a smoother and brighter skin. The price of the scrub is quite affordable and you can even get it at a good discount online. The scrub uses salicylic acid to gradually treat acne and blackheads. It is suitable for all skin types and exfoliates the skin gently. The formula contains microbeads which help in removal of dead skin cells. The tube packaging is travel-friendly and the price is quite affordable. The fragrance of the product is quite strong and can irritate the skin. The microbeads can be a health hazard and they damage the environment too. This blackhead removing scrub is quite affordable and works well for all skin types. It not only removes whiteheads and blackheads but also exfoliates the skin to enhance radiance. What are blackheads and how are they formed? First of all, we need to understand the real definition of blackheads. Blackheads are a form of acne and come under the non-inflammatory category under acne. They are formed when dirt or oil or sebum clogs the pores of the skin. The pores of your skin are follicles which contain a hair and a sebum-producing gland. Each follicle contains one hair and one gland. This gland is responsible for producing sebum/oil. This sebum or oil is responsible for keeping your skin hydrated. When these glands inside the pores begin producing excess sebum, it plugs the opening of the pore. This results in blockage of the pore. When the excess sebum comes in contact with the air, it oxidizes and becomes black in color as the melanin content in the sebum oxidizes when exposed to air. With more dirt and bacteria collecting in the pore, it appears bigger and darker. Blackheads, as the name goes, are mostly black in color but can also be brown, grey, and yellow depending on the melanin content in the sebum. What are the main causes of blackheads? Hormones play a major role in how our skin looks and feels. Hormonal changes during pregnancy, Menstruation, puberty, and due to some medicines can cause your glands to go haywire. Frequent fluctuation in hormones can disturb the sebum production and result in excess production which can clog the pores and cause blackheads. Women go through major hormonal changes while they are pregnant and this can also make blackheads appear even if the skin is not oily or blackhead-prone. Stress also plays a huge role in how our body reacts to different situations. This factor tends to affect women more than men as women have a higher level of the androgen hormones. Stress does not directly cause blackheads but it releases a few hormones which can trigger to glands to produce excess sebum. Lowering your stress levels through meditation and exercise can work wonders in improving the condition of your skin over a period of time. Eating fried food rich in salts and low in nutrients can also result in blackheads as salt leads to water retention which can in turn lead to clogged pores. Smoking also tends to clog the pores and people who smoke often develop more blackheads and clogged pores as compared to people who do not smoke at all. Eating right and developing a healthy lifestyle can transform your skin completely and make it look healthy and nourished. Include more fruits and vegetables in your diet which help the body to flush out toxins naturally and also aid in keeping the skin clean. Last but not the least, your skin type can be the cause behind your blackheads if you have a very oily skin with excess sebum production. People with dry skin tend to have lesser blackheads as their glands do not produce enough oil. Cleaning your skin regularly with an oil-free cleanser can keep blackheads under control so it is important to choose your skin care products wisely. People with sensitive skin should be more careful with the products they use as the wrong product can worsen the condition of the skin and can cause more blackheads. Do not attempt to extract blackheads with bare hands as this can spread the bacteria from one part of the skin to another. Consult a dermatologist for proper guidance. Try and avoid products which contain a lot of chemicals and artificial fragrances which can irritate the skin and lead to more sebum production. Artificial fragrances can also lead to more breakouts if you have an acne-prone skin. Always use a toner to close the pores after using a blackhead removal product. You can also rub an ice cube on the affected area to shrink the pores. Leaving the pores open can bring blackheads again as dirt and bacteria starts accumulating in the pores. Keep your skin protected from environmental pollutants by wearing a sunscreen and a good moisturizer underneath. Scrubbing your skin regularly with a mild scrub can help keep blackheads under control as it does not allow the bacteria and dirt to clog the pores. Do not use products which claim to give instant results as they can damage the skin in the long run. Taking steam before using a blackhead removing product can work really well in taking out the blackheads as steam opens the pores and allows the product to clean the skin in a better way. Keep your skin clean by using a good face cleanser to remove all the makeup as makeup can cause clogging of pores if it is not removed properly. Using a clean warm cloth to remove blackhead helps to clean your skin naturally as the steam from the cloth opens the pores and slight rubbing will help you get rid of small blackheads easily. Avoid going for chemical peels too often if you have a blackhead-prone skin as the chemicals can cause the skin to produce more sebum which can lead to clogged pores. Do not rub the skin vigorously or apply a lot of pressure to remove blackheads as this can cause permanent damage to the pores. Using a night cream which controls excess oil regularly can help you keep blackheads under control. It also makes your skin feel smoother and calmer. Do not use blackhead removing products very often as these products use strong formulas to get rid of blackheads and can cause harm to the skin if used more frequently than required. So these are ten of the most effective blackhead removal products which are good for getting rid of the stubborn blackheads that make your skin look unattractive. These products are designed to clean the pores and extract the dirt and the impurities that are clogging the pores. Using these products regularly will help you get a smoother and flawless skin free of blackheads and whiteheads. Understand more about the causes of blackheads above so that you can control the blackheads easily by eliminating the cause. Have you got blackheads? Which is your favorite blackhead removal product? I wonder is it good if I don’t remove blackheads? In fact, Blackheads take long time to clear but some people squeeze to clear blackheads faster. However, blackheads have been blocked by oil, bacteria, and dead skins. I don’t suggest you to squeeze your blackheads anymore but find a better way such a blackheads removal. So, your pores must be clean and clear. Is it possible that blackhead holes will go away? Blackheads is open comedones on your surface skin. You can reduce the size of the pores by proper treatment but you will never close them. I’m falling in love with Green Tea Matcha Facial Mud Mask. I recommend this. I want to know how can I remove a deep blackheads? Just follow these easy steps. First of all, you wash your face with soft and mild cleanser and use toner to improve your pores. Second, you put warm cloth on your face for a while. Third, you use a comedone spoon and apply downward pressure. Fourth, you should remove blackhead by using tissue. Fifth, don’t’ force it if it doesn’t remove blackhead at first time. You should do only one time. And finally, you finish with your treatment and sun protection.